Feeling shy about exploring Estes Park and the Rocky Mountains on your own? Don&apos;t. Dozens of outfitters, guides and group leaders are available to show you where to go and how to do a favorite activity. Whether you&apos;ve been doing something your whole life but don&apos;t know the area, or you&apos;re new to a pursuit and want to try it while on vacation, Estes Park offers plenty of guided excursions. 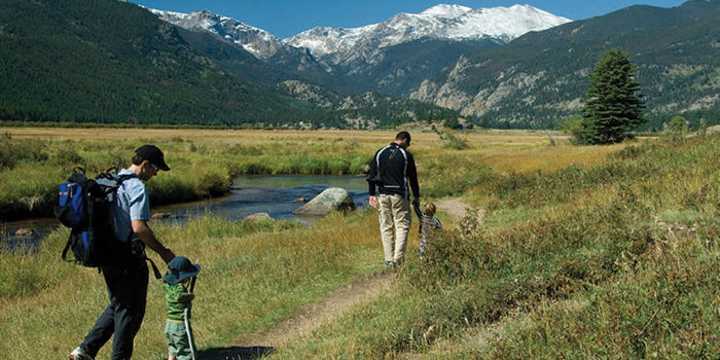 Try hiking or snowshoeing into the pristine wilderness of Rocky Mountain National Park. Go for a day or even a week. Camp in the wild or sleep inside on an inn-to-inn trek. Learn to fly fish from some of the best guides in the world after hiking or horseback riding into areas with remote streams and alpine lakes. Go birding with a naturalist or enjoy a nature tour. Tag along on a photography safari to bring home a different kind of trophy. Whatever your interest, Estes Park guides can customize packages that are perfect for individuals, families or other groups.